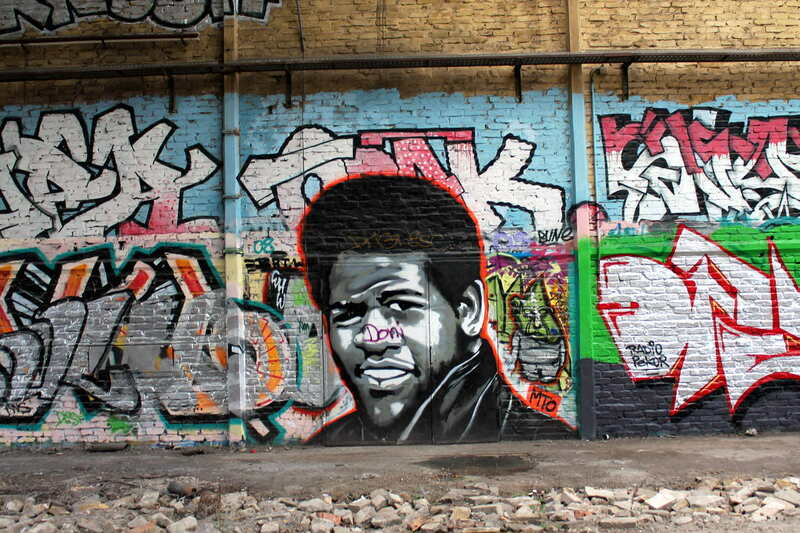 Street Art can be more than „just“ paintings, paste-ups or cut-outs. 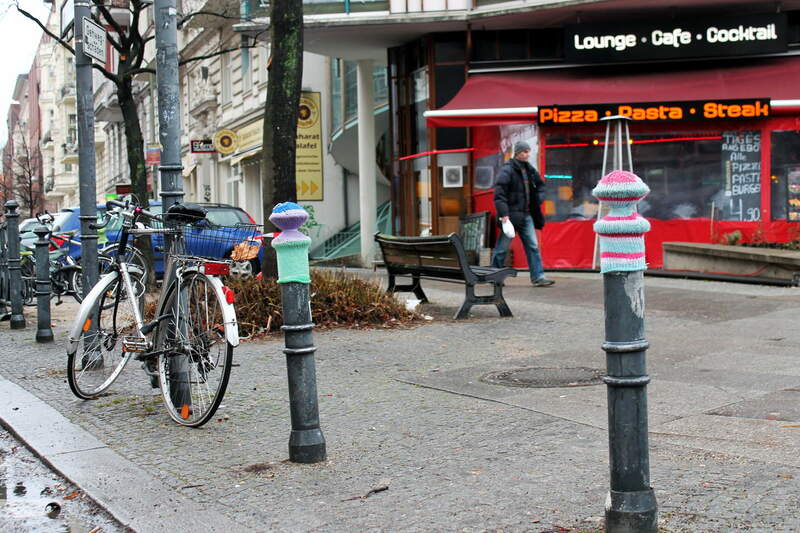 We have already shown you installations, like the Street Yogis by Joy Fox or the mushrooms of the London based Street Artist Christian Nagel. 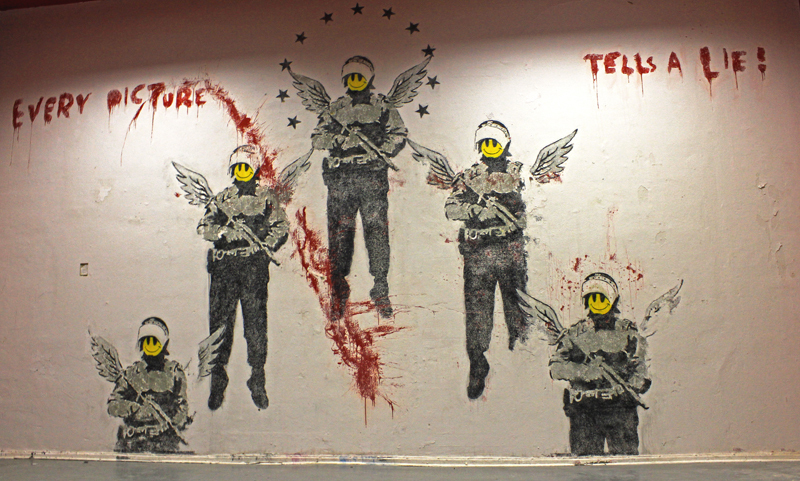 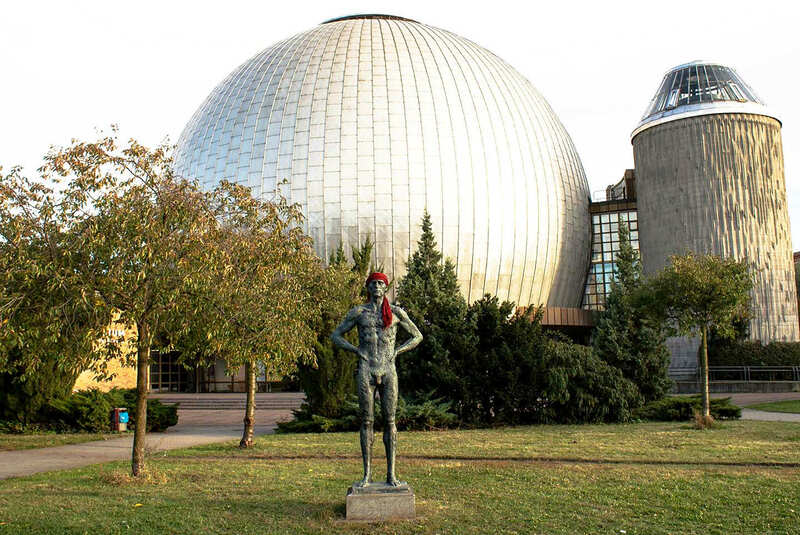 Today we want to introduce a younger phenomena to you, that already became a movement on its own. 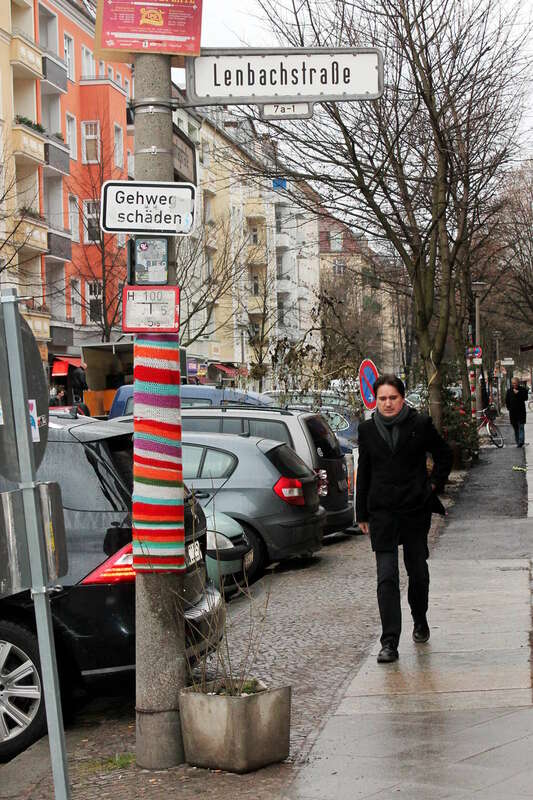 It can be found all over the world and of course in Berlin, it is called: „Guerilla Knitting“ or „Yarn Bombing“. 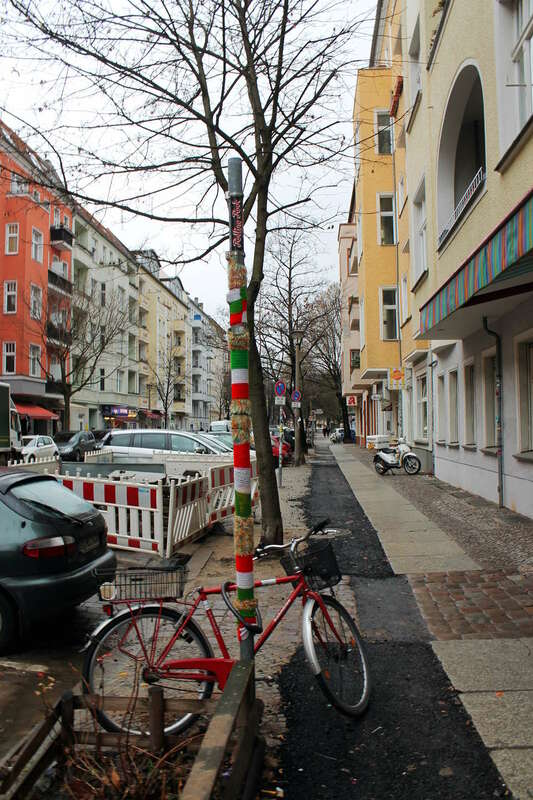 Guerilla Knitting means the changing of objects in the streets by adding little knitted accessories or by covering the surface completely with wool to make them look nicer, feel softer or to create complete new installations. 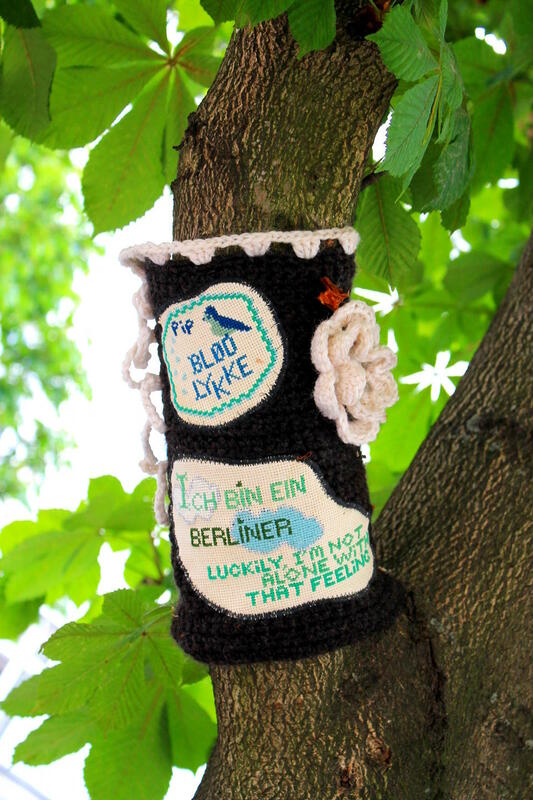 A great thing about Guerilla Knitting is, that it is not just a visual experience, you can also touch it. 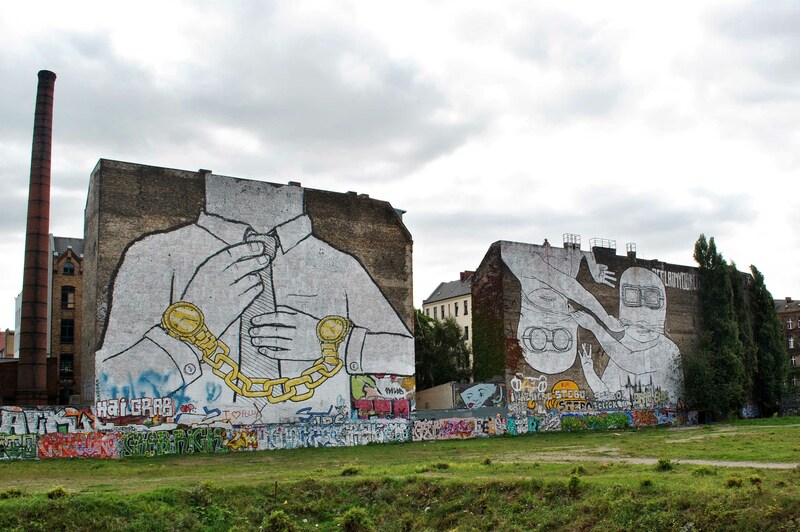 Unfortunately this kind of Street Art is really rare because it is not as permanent as colours and it seems to be really attractive to art thefts. 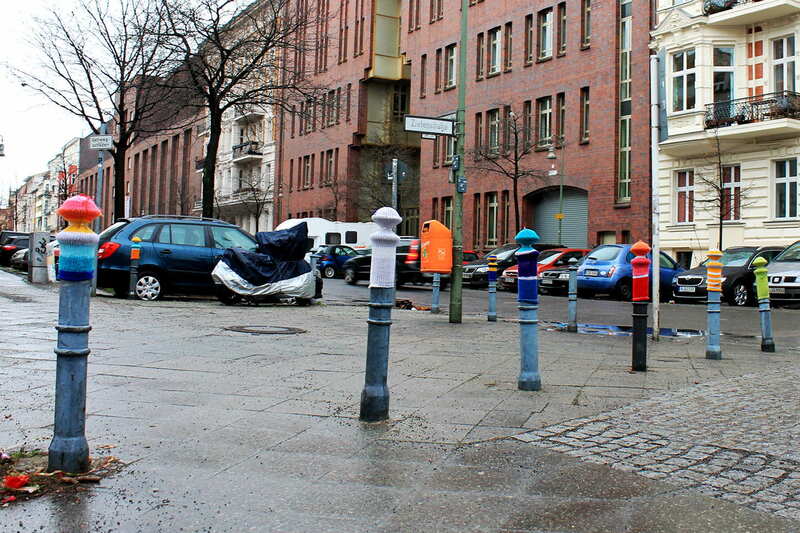 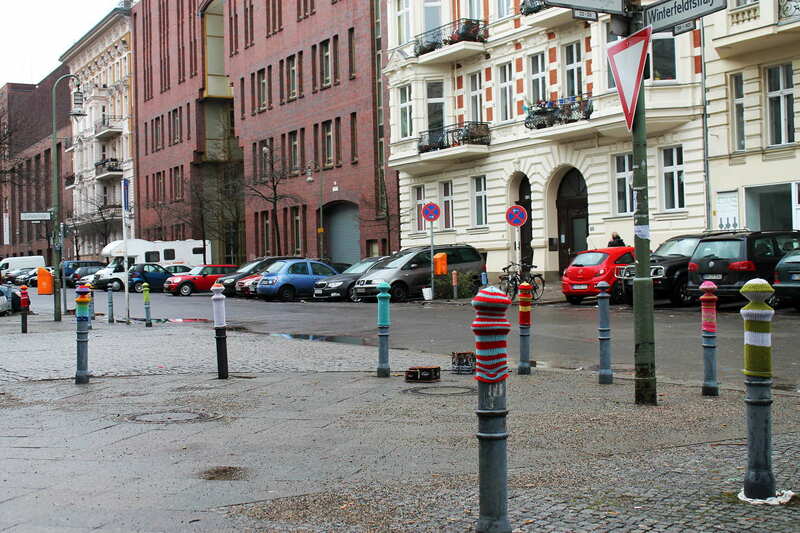 Anyway, here we have got a small selection of Guerrilla Knitting in Berlin for you.